The first time the word “ekklesia” is used in scripture it is used by Jesus. This Greek word, “ekklesia,” means “a group of people gathered or assembled for a specific purpose.” This was the word Jesus chose to describe what His people would be called. 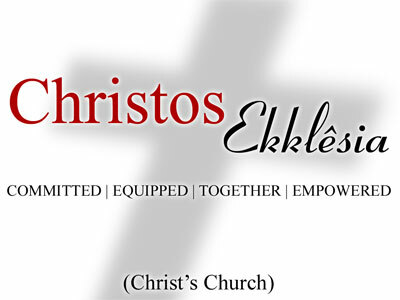 We would be called Ekklesia, translation: Church. Not a building of mortar, wood, or block, but a gathering of people, assembled, called out for a specific purpose. Furthermore, Jesus makes it clear that it is His Church. In this series we are looking at four components of Christ’s Church: People Committed, People Equipped, People Together, and People Empowered.